As a student at The Reynolds School there are numerous ways to make connections, get hands-on experience, publish your work and make friends. Students can get help with multimedia projects and get their work published through the lab’s website and media partners. 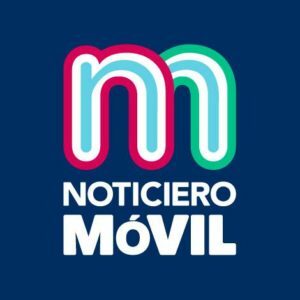 Lab Hours: Monday 5:30-9:30 p.m. | Wednesday 5:30-9:30 p.m. | Friday 9-3 p.m.
Noticiero Móvil is a multimedia news outlet providing Spanish and English content. The program works with the Latino community to provide unbiased, accessible, and relevant content about our diverse community. The student reporters strive to involve and engage the community on issues via local events and dialogues. 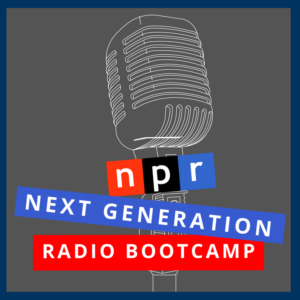 Next Generation Radio is a one-week, student multimedia training project co-sponsored by NPR, NPR member stations and the Reynolds School of Journalism. The application cycle for the 2019 boot camp open until April 23, 2019. Interested in learning more and applying? Visit the NPR NextGen Radio Nevada Boot Camp page. The faculty and staff of the Reynolds School of Journalism focus on providing you with an exceptional learning experience in our classrooms, through structured extracurricular programs and as the result of extraordinary connections to the professional community. You get to know faculty who have years of high-level professional experience. You learn with faculty who conduct innovative research on our disciplines. You meet and network with local and national professionals. You study historic practices. You do real work. You have the opportunity to experiment with emerging and innovative ideas. When you graduate, we want you to be in a position to compete for the best jobs and the most sought-after graduate programs. We want you ready for your next big step. If you’d like to discuss our undergraduate program with someone, please contact Paul Mitchell at 775-784-4563. The national Public Relations Student Society of America (PRSSA) is the foremost organization for students interested in public relations and communications. We seek to advance the public relations profession by nurturing generations of future professionals. We advocate rigorous academic standards for public relations education, the highest ethical principles and diversity in the profession. PRSSA is made up of more than 11,000 students and advisers organized into 300 plus Chapters in the United States, Argentina, Colombia and Peru. PRSSA helps you enhance your education, broaden your network and launch your career in public relations. The PRSSA Nevada Chapter is the pre-professional organization sanctioned by the Associated Students of the University of Nevada. PRSSA Nevada offers a variety of programs, workshops and mixers for strategic communications students to build their practical skills, portfolios and professional network. Faculty adviser is Lecturer/Internship Coordinator Alison Gaulden, APR. PRSSA Nevada is recognized as a Star Chapter by PRSSA and has won several ASUN awards including Outstanding Chapter and Faculty Adviser of the Year. The Online News Association welcomes all students interested in quality digital journalism, from data visualizations and virtual reality to long-form epic narratives. Meetings include networking with local journalists to workshops on all aspects of journalism. ONA Nevada provides opportunities for students to attend regional and national ONA conferences, and to benefit from ONA resources such as job boards and member connections. We don’t have a regular schedule for meetings, so contact us to find out how to get involved. The Journalism Student Council (JSC) is the student-run leadership organization for the Reynolds School of Journalism. Its goal is to create community within the School and provide guidance for students in their academic career. Connecting with professors is important to the JSC. Throughout the year the JSC hosts a variety of events focusing on student and faculty bonding, student networking, and mentor and mentee programs where current students mentor pre-journalism students and welcome them to the major. Faculty Advisor: Journalism Dean Al Stavitsky. The University of Nevada Ad Club is a creative outlet for students interested in expressing ideas and connecting with the professional world of strategic communications. The Ad Club is here to prepare students for the real world of strategic communications and shapes students into advertising professionals early on. Through Ad Club meetings, agency tours, and workshops students can network with local professionals and learn what working in the advertising field entails. When a student joins the Ad Club they also become an honorary member of the American Advertising Federation, where you can be invited to conferences and stay up-to-date with advertising news. The Ad Club also offers our ADvantage mentor program. This program pairs each members’ interests with a local professional. The ADvantage program is essential for networking and even results in internships or other professional positions. NPPA Nevada is a resource for students interested in photojournalism, documentary photography, videography and other forms of visual storytelling. We are a student-chapter affiliated with the National Press Photographers Association, the leading voice advocating for the work of visual journalism through education, networking and business and legal resources. Our members believe in the integrity of visual storytelling and will promote the NPPA code of ethics.